I was awakened this morning at an early odd hour without as much sleep as I would have liked to have had yet somehow feeling rested. My cellphone was blinking as it always does when there are unread messages. Some of you may know it is not my practice to immediately respond to blinking lights during the course of a busy day. The blinking doesn’t always connote an emergency, it isn’t always indicative of something that must be responded to right away. True, the blinking could be due to an urgent text but it could also be a voicemail message from a solicitor – or worse – a bill collector. It could even be spam from one of three email accounts I have foolishly funneled through to my cellphone. I learned from years of jumping to respond at every blinking light that more often than not it’s not an emergency. How Pavlovian have we become? But in a dark room … in the still of the night, I could no more ignore that blinking light as I could ignore the blinking “Check Engine” light of my SUV the day before a cross country family road trip. So I “awakened” my phone. I began reading text messages from a spiritually and physically strong friend who has been struggling with what seem to be her father’s last days here on earth. She is a Christian or perhaps I should say working to become a Christian. If the truth were to be told none of us who profess to be Christian are … at least not yet. I don’t care how old or holy you think you may be we all are in the process of becoming that which we profess to be. Her father is a Deacon at his church and has been for many years. He is a large part of the foundation of her faith. He is eighty years old if he is a day and it appears he is coming around the last turn of this race. She typed. My Response Pt. 1 [3:52 a.m.]: “There is a fear of that which is unknown. We talk a good game but here’s the test: if given the choice of dying and having eternal life without the body that has defined us for as long as we have been living AND in a place we have only heard about but never actually seen?! And no one we know has ever been there and come back to tell us about it (and if they had, we would dismiss them out of hand as crazy)?! Would we want that or eternal life here … in this familiar place … this place we already know to be crazy? I would be willing to bet many (if not most) would choose to stay right here for eternity. My Response Pt. 2 [4:04 a.m.]: But in my moments of despair and doubt I look at us human beings and the wonders of our intricate design: Almost 30 feet of intestines folded into such a compact space, a complex brain that helps us make thousands of decisions a day, all the complicated organs and systems within the human body and think this can’t be coincidental! SOMEBODY had to make this thing on purpose and with purpose in mind! My Response Pt. 3 [4:07 a.m.]: Imagine, if you will, us walking along and finding a watch laying on the ground. Under the scratch resistant crystal we’d see the twelve markings on the face that correspond with the twelve hours of the a.m. and the p.m. The short hand marks the hour, the big hand marks the minutes and the second hand counts each second of every hour in the day. 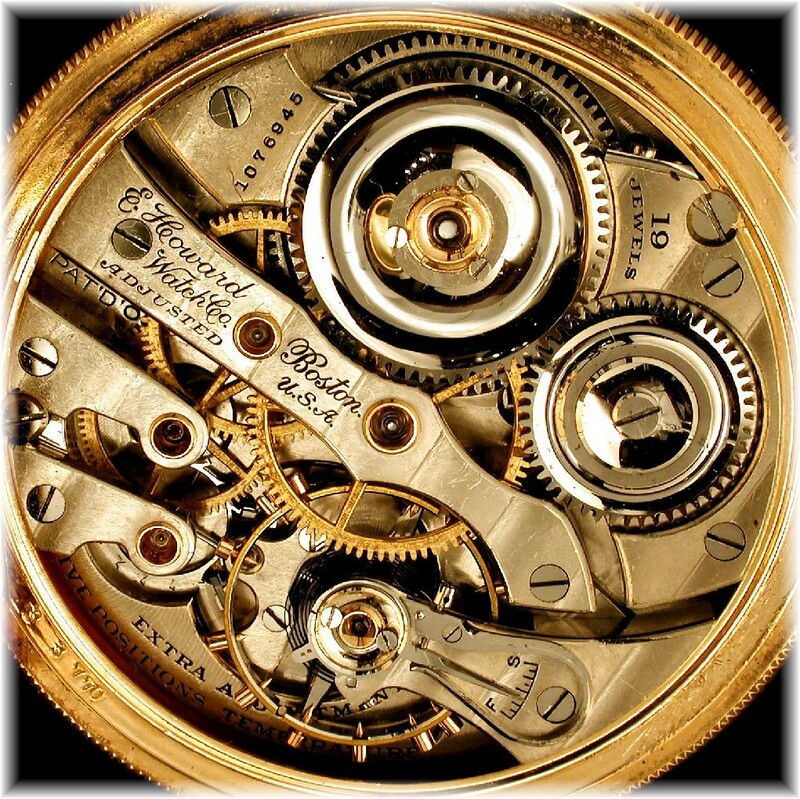 Beneath the face we’d find all sorts of gears moving in opposite directions; moving levers connected to mechanisms that move the hands on the watch day in and day out. Would we think all of that just happened by coincidence? My Response Pt. 4 [4:12 a.m.]: And what if that watch were to break? Would we try to fix it ourselves and risk destroying the delicate mechanisms designed by someone much more capabale and intelligent than we? Or might we just be willing to concede that … somewhere … there must be a watch repair shop with a watchmaker? Someone who knows how to fix that which is broken because he made it in the first place. So tell your Dad … the good Deacon … it’s ok to be unsure and we naturally fear that which we don’t completely understand. And let him know he was right about what he said he believed all these years. There is a Human maker – called God – who made and loves him … a God who has watched over him for these past eighty years … a God who will eventually call him home – to that divine Human Repair Shop –to fix all within him that this world has broken and then some … forever. He can rest. Assured.